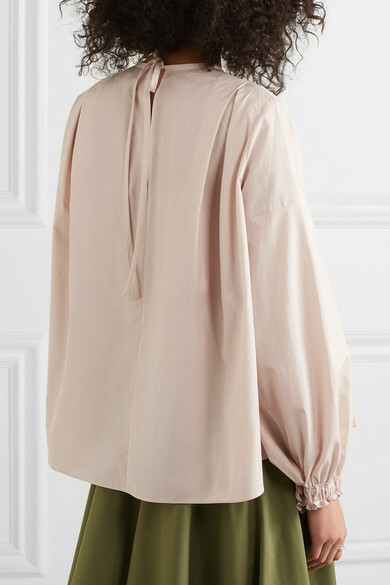 3.1 Phillip Lim's airy cotton-poplin blouse is the perfect summer top. 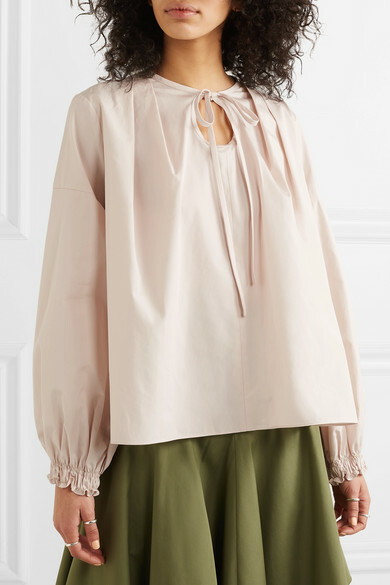 It has keyhole cutouts and is ruched at the cuffs to enhance the billowy shape of the sleeves. 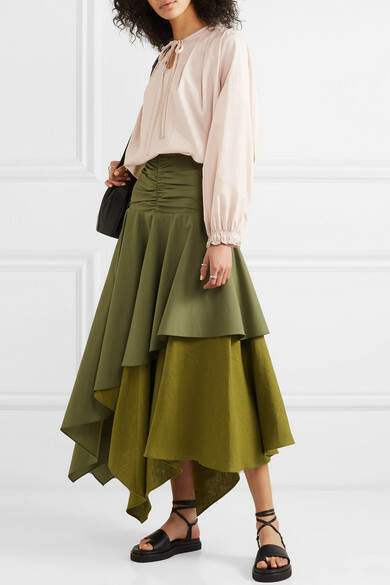 Have some fun with your styling by teaming it with an equally voluminous skirt, or tuck it into a pair of tailored shorts. 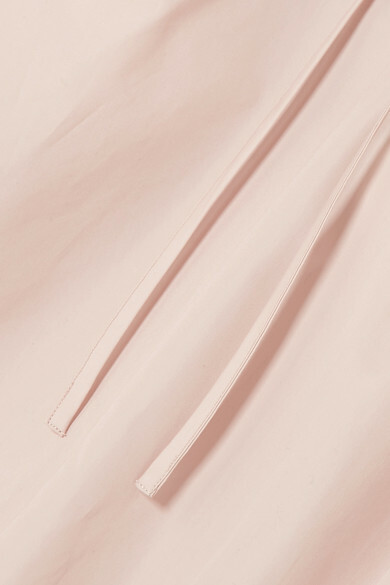 Shown here with: Loewe Skirt, LOW CLASSIC Bucket bag, 3.1 Phillip Lim Sandals, Sophie Buhai Rings.